All the way to the top floor! 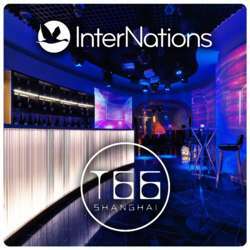 Join us on Friday 19 April at the 66th floor of the Le Royal Meridien Hotel for a great night at the recently renovated T66 Bar, venue that has hosted the biggest InterNations gatherings of the last 3 years. Great people, an awesome bar, DJ, gorgeous views of downtown, quiet lounge, bar, dancing space, all options for an awesome InterNations Night!